Sarah Nader - snader@shawmedia.com Huntley's Jeffrey Heinrich dives for a ball during Monday's Class 4A Supersectional final against Mundelein at Boomers Stadium in Schaumburg June 6, 2016. 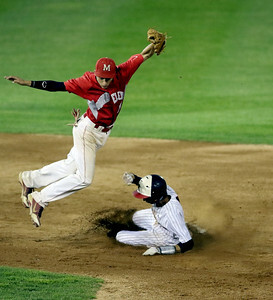 Mundelein won, 8-0. 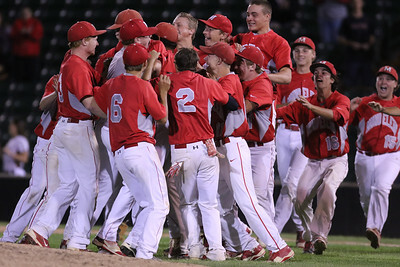 Sarah Nader - snader@shawmedia.com Mundelein players celebrate winning Monday's Class 4A Supersectional final against Huntley at Boomers Stadium in Schaumburg June 6, 2016. Mundelein won, 8-0. Sarah Nader - snader@shawmedia.com Huntley's Charlie Nugent (left) Trevor Ranallo and Ryan McGran walk off the field during Monday's Class 4A Supersectional final against Mundelein at Boomers Stadium in Schaumburg June 6, 2016. Mundelein won, 8-0. 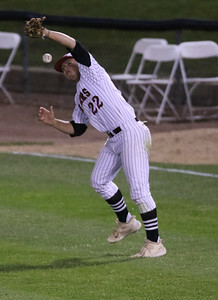 Sarah Nader - snader@shawmedia.com Huntley's Alec Coss misses the ball during Monday's Class 4A Supersectional final against Mundelein at Boomers Stadium in Schaumburg June 6, 2016. Mundelein won, 8-0. 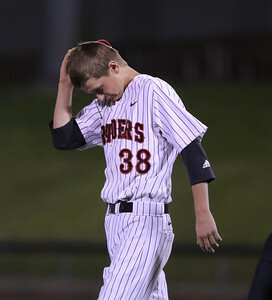 Sarah Nader - snader@shawmedia.com Huntley's Cole Raines walks off the field during Monday's Class 4A Supersectional final against Mundelein at Boomers Stadium in Schaumburg June 6, 2016. Mundelein won, 8-0. 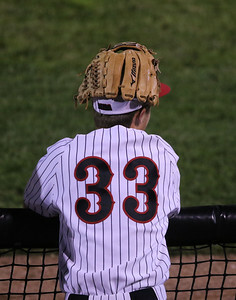 Sarah Nader - snader@shawmedia.com Huntley's Jordan Goldstein watches the end of the game during Monday's Class 4A Supersectional final against Mundelein at Boomers Stadium in Schaumburg June 6, 2016. Mundelein won, 8-0. Sarah Nader - snader@shawmedia.com Huntley's Trevor Ranallo misses the ball during Monday's Class 4A Supersectional final against Mundelein at Boomers Stadium in Schaumburg June 6, 2016. Mundelein won, 8-0. 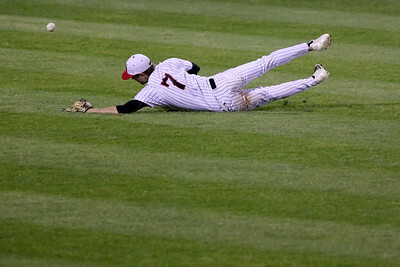 Sarah Nader - snader@shawmedia.com Huntley's Adam Smylie dives for the ball during the fourth quarter of Monday's Class 4A Supersectional final against Mundelein at Boomers Stadium in Schaumburg June 6, 2016. Mundelein won, 8-0. 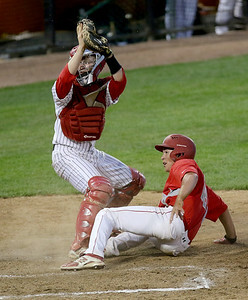 Sarah Nader - snader@shawmedia.com Mundelein's Jake Breitenreiter (left) grabs the ball while Huntley's Charlie Nugent is out at second during the third inning of Monday's Class 4A Supersectional final at Boomers Stadium in Schaumburg June 6, 2016. Mundelein won, 8-0. 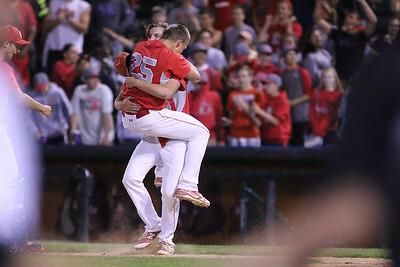 Sarah Nader - snader@shawmedia.com Mundelein's Brett Parola celebrate winning Monday's Class 4A Supersectional final against Huntley at Boomers Stadium in Schaumburg June 6, 2016. Mundelein won, 8-0. 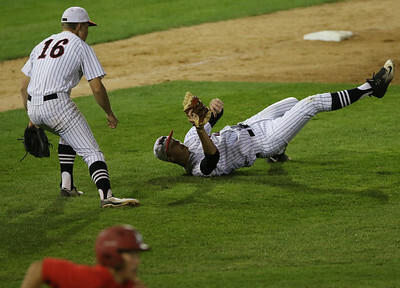 Sarah Nader - snader@shawmedia.com Huntley's Joe Rizzo (left) tags out Mundelein's Jeff Morton while he slides home during the second inning of Monday's Class 4A Supersectional final at Boomers Stadium in Schaumburg June 6, 2016. Mundelein won, 8-0. 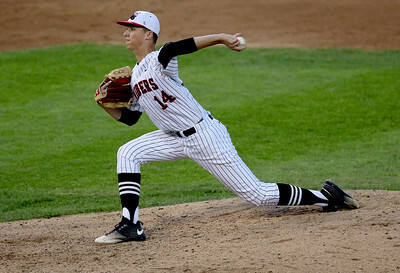 Sarah Nader - snader@shawmedia.com Huntley's Adam Smylie pitches during Monday's Class 4A Supersectional final against Mundelein at Boomers Stadium in Schaumburg June 6, 2016. Mundelein won, 8-0. 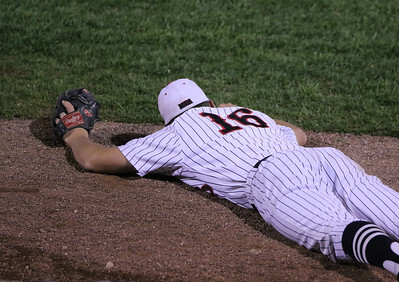 Huntley's Alec Coss misses the ball during Monday's Class 4A Supersectional final against Mundelein at Boomers Stadium in Schaumburg June 6, 2016. Mundelein won, 8-0.